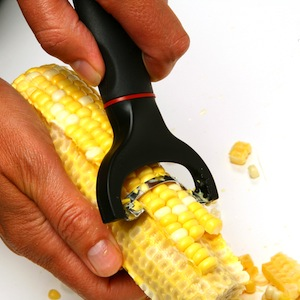 Unique blade zips between kernels and cob cutting several rows at once. Strip dozens of cobs in minutes. Perfect for canning, chowders, salsa, relishes, creamed corn and more. Sheath protects blade and is ideal for storage.